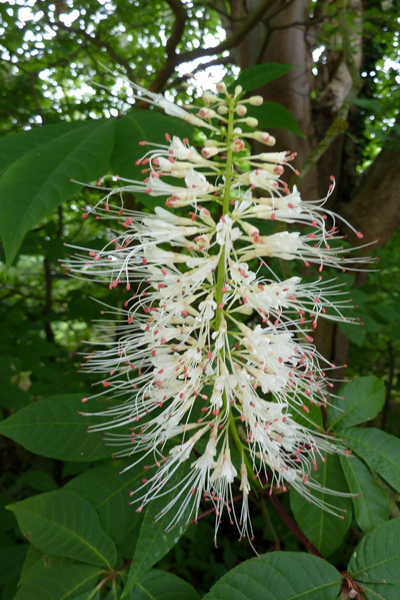 Bottlebrush Buckeye, Aesculus parviflora, is a tremendous large shrub that features large scale leaves and tall white blooms in mid-summer. 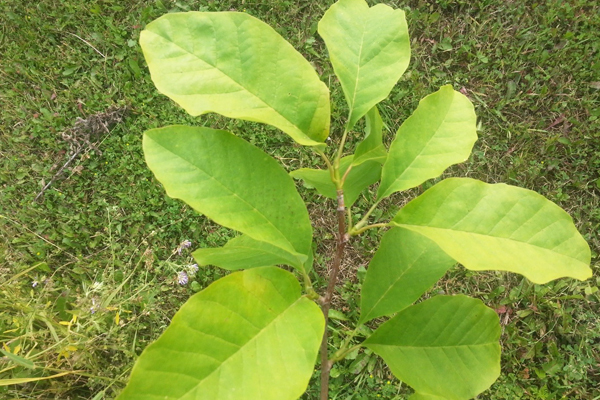 It is a very tough and underused shrub that takes full sun to partial shade and can colonize into a substantially wide plant. For an annual flower with presence, the true species form of flowering tobacco, Nicotiana sylvestris, is a great choice. Its showy white summer blooms look like fireworks and have a nice fragrance. The blooms are held high on sturdy stalks that can reach four feet tall, and create a nice contrast in deep flower beds when mixed with perennials. 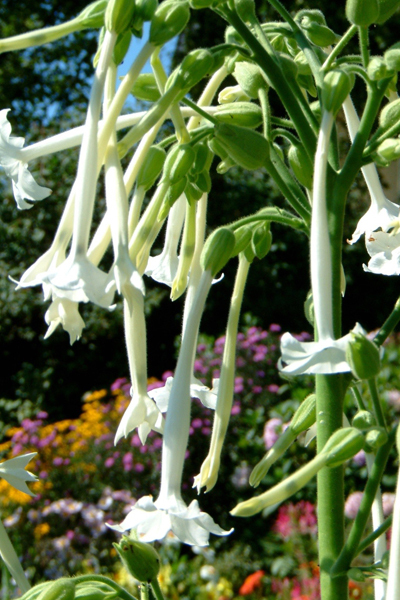 Nicotiana sylvestris is typically known as an old school plant, but it has been honored through the years by many horticultural societies. 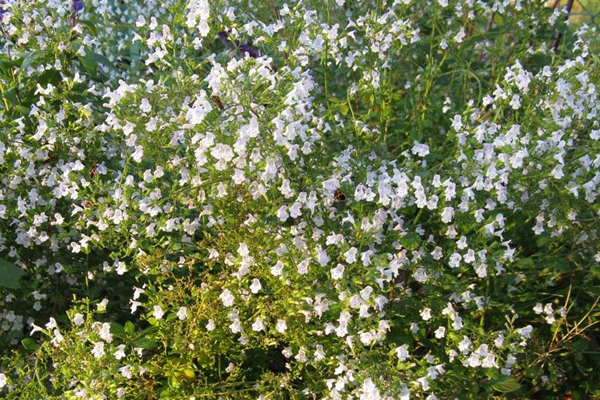 The Dwarf Calamint, Calamintha nepeta ‘Montrose White’, is a versatile and graceful perennial that is prized for its soft texture and neutral colors. The neutral tones are a great transition plant in a perennial border. Locating this plant along pavements is a great use as it billows over sharp edges and provides a pleasing effect, especially for a cottage garden. The Dwarf Calamint is a very reliable performer that is happy when left on its own. 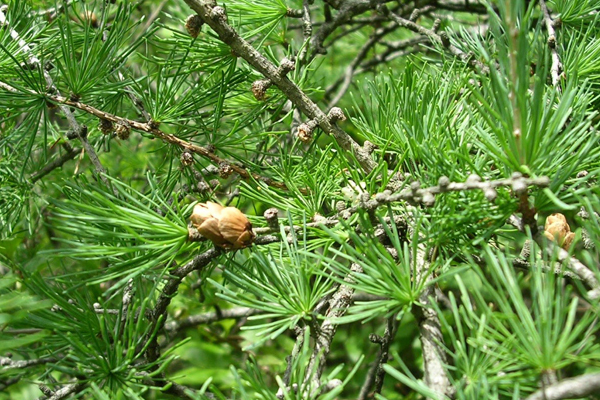 For softness in the tree group, consider a larch (or tamarack) tree. Their fabulous golden fall foliage colors are especially beautiful when reflected in a nearby water feature. Larix laricina is the native American species and is extremely tolerant of wet lowland soils. The tamarack is fast growing, with picturesque branching and small cones adding great winter interest after the golden needles have fallen at season’s end. Larix decidua is the European Larch and thrives in a wide variety of soils, but prefers a more upland setting. Both species are excellent when planted in groves, or as an individual specimen in an Asian inspired garden. 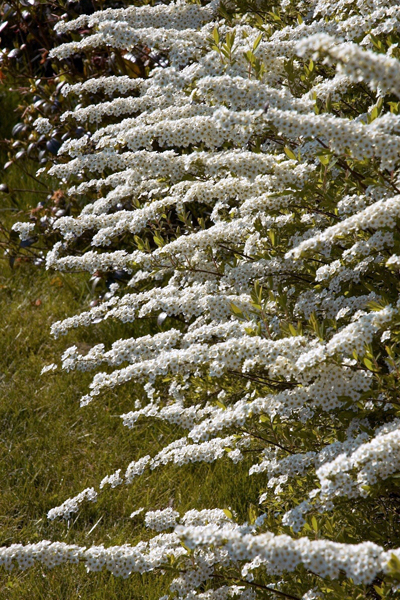 The Spirea ‘Grefsheim,’ Spiraea x cinerea ‘Grefsheim,’ is an attractive midsized flowering shrub with fine textured foliage and attractive white blooms in mid-late May. It provides many of the aesthetic characteristics of other larger traditional white spireas at a much smaller size. 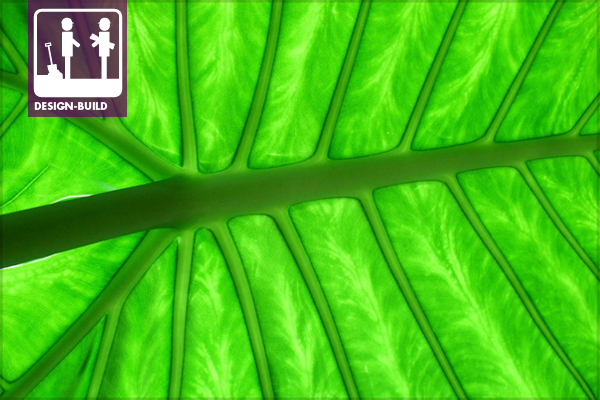 This cultivar is typically 4-5 ft. tall and wide, tolerant of most site conditions, super hardy, and pest free!